It's time to taste champagne and wedding cake, to try on dresses and talk to photographers. 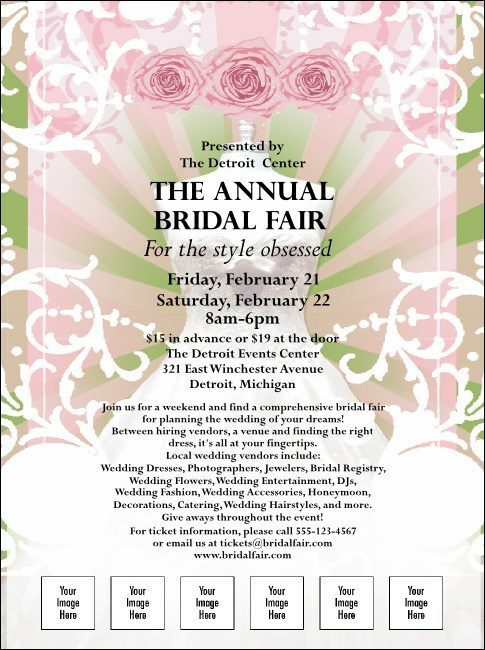 Promote your prenuptial event with the Bridal Fair Flyer featuring space for six images of your sponsors and exhibitors on this template. Let love bloom with bold, floral images surrounding the perfect dress. Share you special day with TicketPrinting.com.